Looking back at historical data, in hindsight it is easy to identify 2005/06 as a great time to buy gold bullion before the constant rises when the price of gold stood at just £250/oz t. Again in 2007/08 the UK banking crisis offered another great opportunity to jump onto the gold bandwagon with the gold price standing at around £350/oz t. Many investors did indeed see these signs early and took full advantage, having since seen their gold investment flourish with the gold price more than doubling in the last decade. Some of the most common questions heard now on a daily basis are; is it too late to buy gold? And; how much longer can the gold price continue to rise? Unfortunately, there's no exact science when knowing when to buy gold, but there are lots of effective and timeless techniques and indicators that most successful investors use to help them and look out for. When looking to buy gold it is important to recognise that gold is on a long term upward trend where prices have been increasing almost month on month for years. When you buy gold, be mindful not to panic if the gold price dips 5% a month later. This kind of movement is common and history suggests it would be likely to correct itself. The gold price is based up on a whole host of mini dips and increases; you just hope the underlying trend continues and that the rises are larger than the dips as they have been for the last decade. Buying gold should not be seen as a short term investment, we advise you look at holding your gold for a minimum of six months, ideally much longer. If you do return a healthy profit is a short space of time then great, that is your prerogative to sell and realise that profit, perhaps looking to reinvest in gold again when you spot the next opportunity in the market. such as those of the US, China and Eurozone. Unsure what to buy? Click here to view our Top 5 Gold Investments. So, when is the best time to buy gold? Many investors believe in simply buying gold when they can, purchasing smaller quantities regularly. The process of part buying, as opposed to buying gold in a single large transaction, provides investors with the benefit of buying at a lower average price with the same applying to part selling in order to maximise return on investment. Buying gold is partly about picking your moment. It is important to keep a close eye on the gold price. The gold price changes every two minutes so paying attention to the latest movements online via your PC, smartphone or tablet will help you pick your moment to buy. Even in this market of seemingly constant rises in the gold price it is not uncommon for the price of gold to dip by 3-5% in a single morning. This would perhaps represent an ideal time to dip your toe in for the first time as a new investor or add to your existing gold investment. 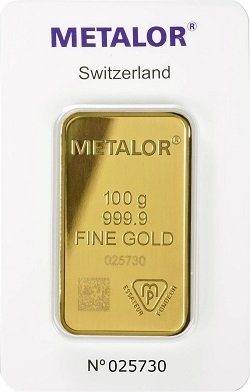 Spotting value in the gold price is quite subjective; some investors are very happy to buy gold when the price is in the middle of a very strong period, some like to buy during a stable period or during a dip, but either way you should be looking to buy gold bullion only when you think the gold price feels right. It's important to remember that owning gold bullion is about owning a safe, secure and timeless asset. It is not primarily about making huge profits at the end of every month or year. nothing wrong with making a lot of profit on gold as many people have and will continue to do so. crisis by taking control of your wealth, or part of it, and not leaving it in the hands of banks and ETFs. investment than any other asset or commodities in the last decade. View the latest gold price now. Do your research. Buy at a reasonable price. Don’t worry about short term fluctuations, sit tight and focus on the long term security and benefits of your gold investment. Related Links: If you have any questions about gold investment, please feel free to contact our knowledgeable and friendly team on 1-888-334-1630 who will be happy to talk your through any queries you may have. Alternatively, you can email us at [email protected] and we will get back to you as soon as possible. Should I Buy Silver and Gold | Paying Capital Gains Tax | How to Buy Gold?